We want MORE Journey videos!!!! This is superb but we want MORE Journey!!!!! Add these videos: Separate Ways, Stone in Love, Wheel in the Sky, Faithfully!!!!!! Come on, iTunes!!! You can do it!!!! We WILL buy them all !!!!!!! WE WANT MORE JOURNEY AND STEVE PERRY VIDEOS!! Where are all the GREAT Journey videos that are not on here for sale?? Like Faithfully, Stone in Love, Wheel in the Sky, Separate Ways (Worlds Apart), Lovin Touchin Squeezin... not to mention, the solo works by Perry such as Oh, Sherrie, Quest for Camelot and Missing You... wow.... Hey, iTunes... we NEED these videos!! I need more Journey and Perry videos for my video iPod, so I can keep on playing these things while doing my daily exercises!! The folks at the gym keep interrupting me to gaze at the ones I have, and everyone is clamoring for more!! 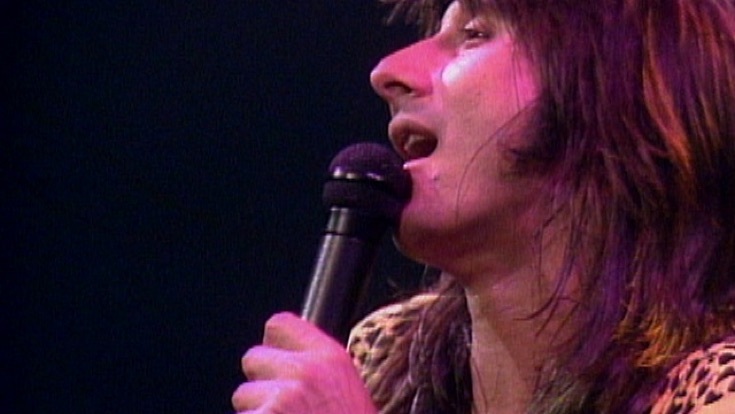 PLEASE, PLEASE, PLEASE give us more Journey and Steve Perry videos!! If you're buying this vid, note that this is a "2 channel mix" (see title); it is FAR better than the other version available here on iTunes. Not sure why there are even 2 versions, but that seems to be kind of common in iTunes, and sometimes they're essentially exactly the same. This is definitely BETTER!